Veterans Day and Remembrance Day weekend is here, and this year it commemorates the 100th years since Armistice. Since the guns fell silent on the battlefields of World War 1. To commemorate this historic event there is a whole host of new military record collections that have been added on to various websites, as well as plenty of FREE RECORDS to look at over the weekend too, all which will help you find your military ancestors. This weekend Ancestry are offering free access to over 50 million Australian military records from Australia, New Zealand and the UK. 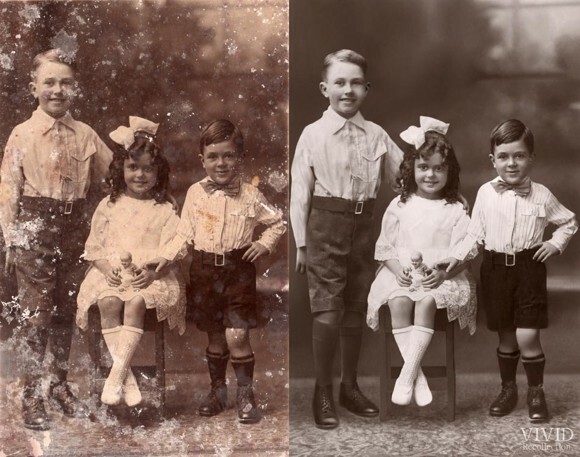 To view these records, you will need to register for free with Ancestry.com.au with your name and email address, they will then send you a username and password to access the records. Offer ends 4.01am AEST, 13 November 2018. Search now. In memory of those who served, FamilySearch has added millions of new, free historical records to help families discover more about their WWI military ancestors. 21 million were wounded and 20 million died. FamilySearch has a large, constantly expanding, collection of World War I records to help remember these soldiers. Governments on both sides of the conflict, Allied nations (the United States, the United Kingdom, France, Russia, Belgium, Serbia, and Italy) and the Central Powers (Germany, Austria-Hungary, Bulgaria, and the Ottoman Empire) created a treasure trove of documents useful to genealogists. Browse the WWI collections at FamilySearch.org. 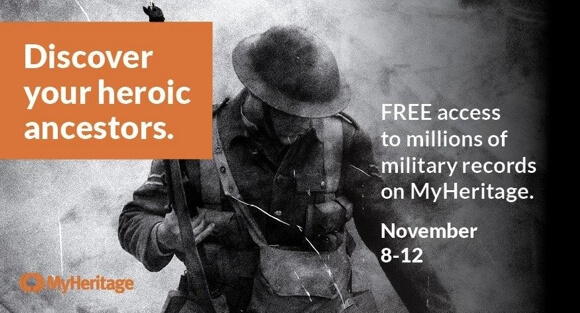 Discover the amazing life stories of your family heroes for free this weekend with Findmypast. They are giving users FREE ACCESS to 9 billion of their records (records from the UK, Ireland, the US, Canada, Australia and New Zealand, and newspapers from Britain and Ireland). So why not spend this weekend discovering your family’s past with free access to these records. You will need to create an account to view the records. Offer ends 12 November at 12 noon (GMT), which is 12 November, 11pm Sydney time. Start your search now. As we remember the sacrifices made by the brave soldiers from all over the world, it’s a fitting opportunity to reflect upon the personal contributions made by our ancestors. Military records are valuable resources that provide insight into the lives of those who have served in the armed forces, as well as their families. With these records, users can learn about their ancestors and honor their memory and service to their country. And MyHeritage are giving users FREE ACCESS to their 47 million military records from around the world. The records are available for free from November 8-12. Search the records now. TheGenealogist has a large collection of military records which is continuously added to. Their new additions include over 42,000 records of Officers that died in the Great War, along with additional Rolls of Honour and over 30,000 War Memorials, War Graves plans, maps and listings. These fully searchable records join an already strong WW1 Collection on the site, providing a highly useful resource for those seeking their ancestors caught up in the conflict. These new records are available as part of the Diamond Subscription at TheGenealogist. Explore their records now. 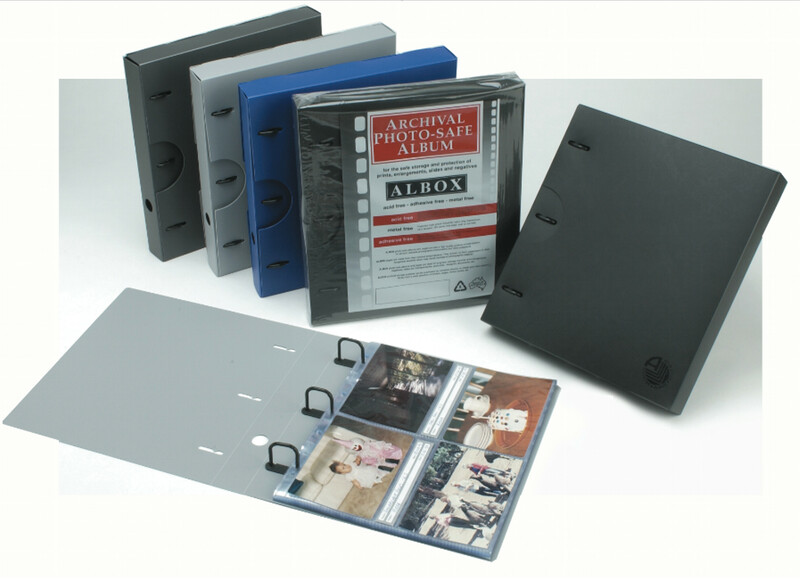 Win An Archival Photo Album!